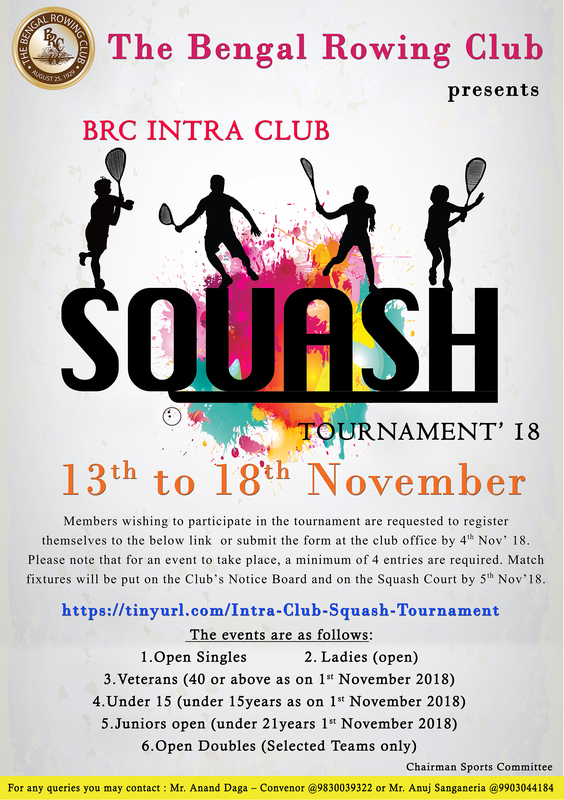 Register To The Below Link Or Submit The Form At The Club Office By 4th November 2018. Please Note That For An Event To Take Place , A Minimum Of Four Entries Are Required. Match Fixtures Will Be Put On To The Squash Court And Club Notice Board By 5th November 2018.